Went hunting for orange-tip butterflies again today but, for third day in a row, had no luck. 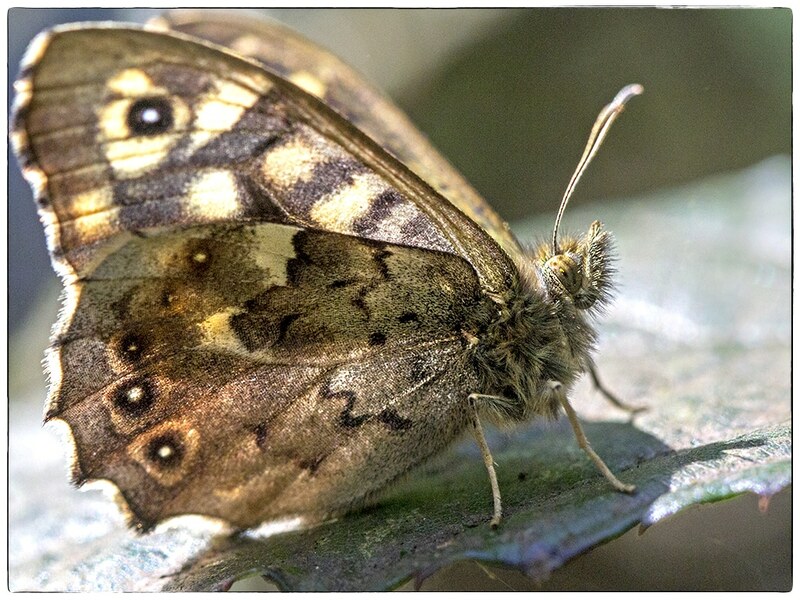 There were lots of Speckled Woods though and when I voiced my disappointment, as in, “Oh, it’s JUST another Speckled Wood”, I realised that these little “plain, ordinary, brown” butterflies deserve far more appreciation from me than I have ever afforded them. 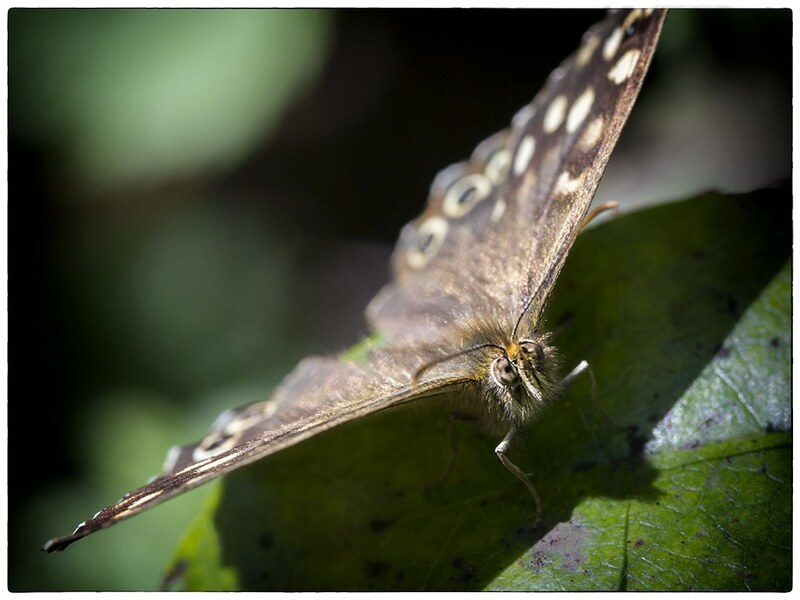 Their markings are beautiful, both overwing and underwing; they can be seen long before more exotically coloured ones; they can easily be seen in woodland. And they turn up and they sit still when you get your camera out! 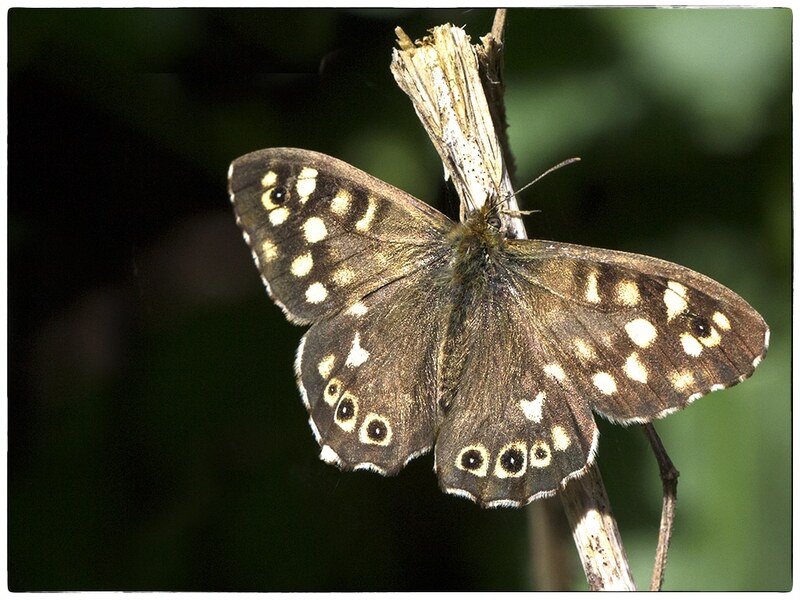 Thank you Speckled Woods, you made my day. Yes and often overlooked . Thanks for stopping by. What beautiful butterflies they are. Love the spot of pollen dust on the eye. Thanks. 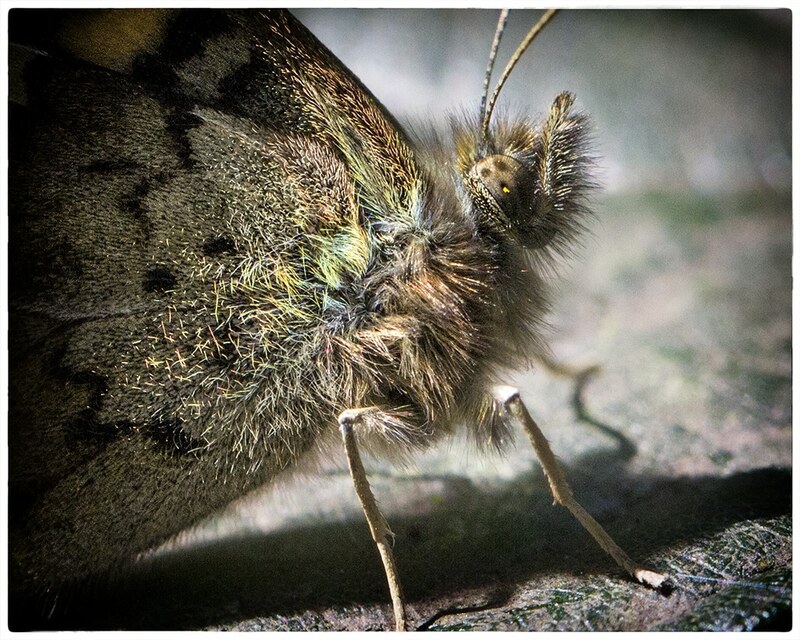 Life’s not so bad when you can sit and look at a speck of pollen in a butterfly’s eye.